After Nokia’s purchase of French consumer electronics company, Withings, didn’t quite play out the way either would have liked, the latter’s co-founder, Eric Carreel, bought the company back from the Finnish networking giant earlier this year. The company has now announced its first new product after its newfound independence from Nokia. And we have a brand new hybrid smartwatch that can help you take your fitness to the next level. Called the Steel HR Sport, the latest hybrid smartwatch from Withings is a follow-up to the Steel HR, which was launched back in 2016. 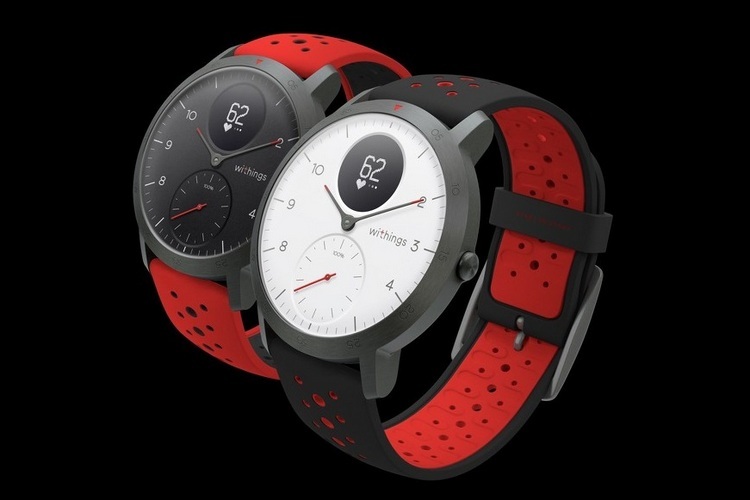 For the most part, the new device follows in the footsteps of its predecessor and comes in a 40mm stainless steel casing with a soft silicone wristband. It is 13mm thick and weighs 49g without the band. The Steel HR Sport comes with a sleep tracker, a pedometer, water-proofing of up to 50 meters, a ‘smart alarm’ that the company claims will wake users up at the ‘optimal time’ and multi-sport tracking for 10+ activities, including walking, running, swimming and more. The device further comes with sleep monitoring, heart-rate monitoring, connected GPS (through Bluetooth), multi-sport mode and Fitness Level assessment via VO2 max estimation. Users can also choose to opt-in or out of alerts for calls, texts, email, calendar, plus smart notifications from apps. At the top of the watch face is a tiny, circular LCD that shows the time, heart rate, notifications and other info that can be cycled through by pressing the side button. Just below that, is another little dial that keeps track of the pedometer count. Connectivity includes Bluetooth LE and GPS. The device also carries a battery that the company claims can last up to 25 days on a single charge. The Steel HR Sport is compatible with iOS 8 and higher as well as Android 6 Marshmallow and higher. It is available for purchase with immediate effect from the company’s own webstore for $199.95 with free shipping. The device has a 1-year warranty from the date of purchase.